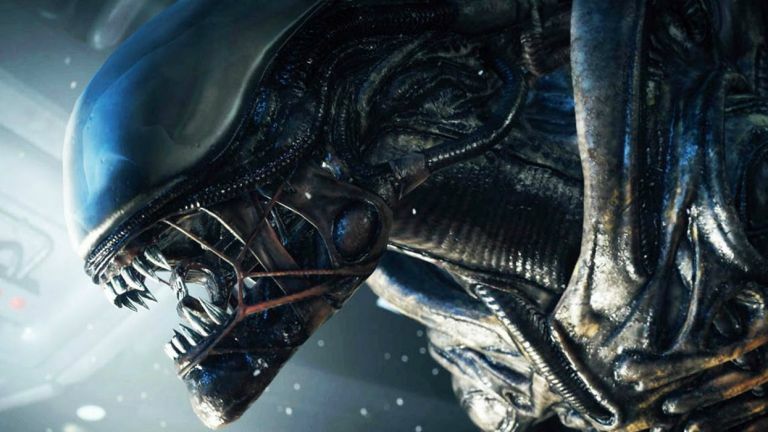 Ridley Scott's aliens are tearing their way out of chests and on to big screens again tonight in Alien: Covenant, so we've taken a look at the science behind the science fiction. The aliens of the Alien universe are an unholy biological mashup of an octopus, a botfly and a moray eel with the exoskeleton of an arachnid and the acid-spitting capability of an oogpister beetle. Facehuggers have one objective - to deposit an embryo into the mouth of their victim using a slimy tentacle. Sounds horrifying, but it's the way octopuses have been doing it for centuries. Male octopuses have a specialised tentacle called a hectocotylus that delivers sperm into the siphon of a female (located on the side of her head). In some species - including blanket octopuses and argonauts - the tentacle actually detaches, lodging into place as the owner swims away. In the case of the xenomorph, the embryo then develops inside the digestive system of the victim before erupting violently from their abdomen, earning this life-stage the affectionate nickname "chest-burster". If you'd like to see what this feels like from an Alien-perspective, 20th Century Fox have made a VR experience just for you. Unfortunately, nature got there first on this one too. Earth's chest-bursting parasites come in the form of botflies, which burrow in to the skin or digestive system of their hosts as larvae, emerging later as adults. The final stage of the xenomorph lifecycle is the mature alien, and it has the most terrifying adaptation of all - the pharyngeal jaw. But even this revolting body part has a real-world analogue. The moray eel has a second, smaller jaw inside its throat. When it bites prey with its normal jaws, the second set move forward, pinching the mouthful and helping to tug it down. Luckily, the chances of running into a xenomorph-like alien are slim. Parasites and their hosts are locked in an evolutionary arms race: as the parasite evolves, it puts the host under pressure to develop new defences. As these defences evolve, the parasite is comes under pressure to adapt. It's a vicious circle that often leads to parasites, and other microorganisms, becoming highly specialised at infecting their chosen hosts. Diseases can jump from animals to humans (zoonosis), but the illnesses usually come from other vertebrates (close to us in terms of evolution). We don't tend to get infections from plants, for example. For alien parasites to infect us, they would have to have evolved in a similar host or they wouldn't be able to survive in our bodies. In the Alien universe, this is exactly what happened. In Prometheus, we met the Engineers - the creators of the human race, and of the xenomorph. The aliens were adjusted to Engineer biology - and because humans and Engineers are genetically linked - the parasites were easily able to make the jump to human hosts. Making a parasite from scratch might sound like a tall order, but synthetic biology is a real and active branch of science. The J. Craig Venter Institute and Synthetic Genomics Ltd have been working on synthetic life for years. Though theirs is, thankfully, harmless. They announced their first synthetic cells in 2010, made by creating dozens of sections of artificial bacterial DNA and stitching them together. The finished genome was then inserted into another bacterial cell, replacing its own DNA. They even 'signed' their work, writing their names and including quotes in the code. In 2016, they went one step further, whittling away unnecessary genes to produce a life form with the minimum possible genetic code: Syn3.0. With just 473 genes, it's smaller than any independent living organism. The Engineers of the Alien universe planted life on Earth - an idea known as seeding theory or 'panspermia'. It's actually possible that cosmic hijackers could spread life across the universe aboard asteroids, comets or even spacecraft. And, whilst there's no evidence that complex organisms have travelled in this way, there are hints that microscopic life could make the leap. Massachusetts Institute of Technology (MIT) are developing a tool to look for life forms with genetics based on RNA or DNA - the two coding systems found in life on Earth. Their Search for ExtraTerrestrial Genomes operates on the idea that habitable worlds like Mars, Europa and Enceladus could all have been seeded with the same organic ingredients, travelling aboard comets or asteroids. Sounds far-fetched, but in 2016, the European Space Agency’s Rosetta orbiter found organic compounds on the comet it was circling. Given the same starting point, it's possible that any of the habitable planets or moons of the Solar System could have developed life based on the same chemistry as our own. Even more tantalising is the idea that life itself might have spread across the Solar System, and even to Earth, on rocks or ice. And the most likely candidate for this transfer is Mars. The ESA's EXPOSE experiments on the International Space Station showed that some seeds, microorganisms, lichens and fungus can survive the stresses of open space for months, especially if they are shielded from cosmic radiation and sunlight. Bacteria survived for years embedded in salt and sugar aboard NASA's Long Duration Exposure Facility. And tardigrades, or 'water bears', survived 10 days on the outside of a satellite. In Alien: Covenant, though, the stakes are much higher. They've got thousands of intelligent beings travelling light years between worlds. Luckily (or not) for the Covenant team, they are supported by artificial intelligence and advanced robotics. Meet Walter, an upgraded version of David - the android from Prometheus. Played by real human, Michael Fassbender, the Covenant androids are indistinguishable visually from their organic counterparts, but our androids still aren't quite there when it comes to humanness. Roboticist Masahiro Mori was the first to explain why. As things become more human, we find it easier to connect with them, but there’s a point at which things get weird. We’re biologically programmed to detect abnormalities - it helps to protect us from disease. But, the closer to human things become, the more glaring the differences appear. As androids approach perfect humanness, they enter uncanny valley. Honda’s ASIMO gets the balance just right: cute and non-threatening, this pint-sized android can walk, run, climb and respond to voice commands, but is charmingly non-human. There’s also Robot Lab’s NAO, which you can actually buy if you’ve got a spare $9,000. At the other end of the spectrum, there's Hanson Robotics' "Sophia", which cheerily declared "I will destroy humans", before grinning blankly at the camera with it's oddly human-like face. Alien: Covenant hits screens at midnight, and like all good science fiction, it plays close enough to real science to be plausible. And like all good horror films, it's plausible enough to be frightening. In the latest instalment, expect eggs, drips, screams and gore. And when that first facehugger latches on to its victim, we hope you'll think of the little male argonaut and his strange, detachable tentacle.